The SIM Card that rewards you with lower calls rates and data rates the more you use it. Order your FREE SIM Card! Designed with support for dual SIM cards, dual power supplies, Ethernet WAN failover & 128 concurrent WiFi users. The Free Cloud-Based Device Manager allows you to remotely monitor and manager one or more than 10,000 rCell 100 routers, resulting in a lower total cost of ownership and increased operational efficiency. Get the convenience of low cost calls from your mobile phone. VoLGA Forum was formed in March 2009 by a group of companies in the wireless industry in an effort to define a set of specifications for enabling delivery of voice services over 3GPP Long Term Evolution (LTE) access networks based on the current 3GPP Generic Access Network (GAN) standard. VoLGA is an acronym for Voice over LTE via Generic Access. The VoLGA Forum's mission is to promote the widespread adoption of VoLGA technology. The group wants to enable mobile operators to deliver voice and messaging services over upcoming LTE radio access networks using the same core networks they use today to support voice services on 2G/GSM and 3G/UMTS radio access networks. The forum members include Alcatel-Lucent, Deutsche Telekom, Huawei, HTC Corporation, LG Electronics, Motorola, Nortel, Sonus Networks, Samsung, Starent Networks, and ZTE. Swedish telecom equipment vendor Ericsson was originally a member of the VoLGA Forum, but revoked their membership in December 2009. The group has developed and published a set of open specifications. These can be used by vendors and operators of wireless communications systems and applications to develop and deploy interoperable solutions. In December 2009, Deutsche Telekom announced it had completed the world's first voice call over LTE. In communications, Circuit Switched Data (CSD) is the original form of data transmission developed for the time-division multiple access (TDMA)-based mobile phone systems like Global System for Mobile Communications (GSM). After 2010 many telecommunication carriers dropped support for CSD, and CSD has been superseded by GPRS and EDGE (E-GPRS). CSD uses a single radio time slot to deliver 9.6 kbit/s data transmission to the GSM network switching subsystem where it could be connected through the equivalent of a normal modem to the Public Switched Telephone Network (PSTN), allowing direct calls to any dial-up service. For backwards compatibility, the IS-95 standard also supports CDMA Circuit Switched Data. However, unlike TDMA, there are no time slots, and all CDMA radios can be active all the time to deliver up to 14.4 kbit/s data transmission speeds. With the evolution of CDMA to CDMA2000 and 1xRTT, the use of IS-95 CDMA Circuit Switched Data declined in favour of the faster data transmission speeds available with the newer technologies. Prior to CSD, data transmission over mobile phone systems was done by using a modem, either built into the phone or attached to it. Such systems were limited by the quality of the audio signal to 2.4 kbit/s or less. With the introduction of digital transmission in TDMA-based systems like GSM, CSD provided almost direct access to the underlying digital signal, allowing for higher speeds. 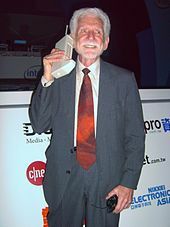 At the same time, the speech-oriented audio compression used in GSM actually meant that data rates using a traditional modem connected to the phone would have been even lower than with older analog systems. A CSD call functions in a very similar way to a normal voice call in a GSM network. A single dedicated radio time slot is allocated between the phone and the base station. A dedicated "sub-time slot" (16 kbit/s) is allocated from the base station to the transcoder, and finally, another time slot (64 kbit/s) is allocated from the transcoder to the Mobile Switching Centre (MSC). At the MSC, it is possible to use a modem to convert to an "analog" signal, though this will typically actually be encoded as a digital pulse-code modulation (PCM) signal when sent from the MSC. It is also possible to directly use the digital signal as an Integrated Services Digital Network (ISDN) data signal and feed it into the equivalent of a remote access server. High Speed Circuit Switched Data (HSCSD), is an enhancement to Circuit Switched Data (CSD), the original data transmission mechanism of the GSM mobile phone system, four to six times faster than GSM, with data rates up to 57.6 kbit/s. Channel allocation is done in circuit-switched mode, as with CSD. This contrasts with the more widely adopted GPRS. Higher speeds are achieved as a result of superior coding methods, and the ability to use multiple time slots to increase data throughput. HSCSD is a system based on CSD but designed to provide higher data rates by means of more efficient channel coding and/or multiple (up to 4) time slots. It requires the time slots being used to be fully reserved to a single user. A transfer rate of up to 57.6 kbit/s (i.e., 4 × 14.4 kbit/s) can be reached, or even 115 kbit/s if a network allows combining 8 slots instead of just 4. It is possible that either at the beginning of the call, or at some point during a call, it will not be possible for the user's full request to be satisfied since the network is often configured to allow normal voice calls to take precedence over additional time slots for HSCSD users. An innovation in HSCSD is to allow different error correction methods to be used for data transfer. The original error correction used in GSM was designed to work at the limits of coverage and in the worst case that GSM will handle. This means that a large part of the GSM transmission capacity is taken up with error correction codes. HSCSD provides different levels of possible error correction which can be used according to the quality of the radio link. This means that in the best conditions 14.4 kbit/s can be put through a single time slot that under CSD would only carry 9.6 kbit/s, i.e. a 50% improvement in throughput. The user is typically charged for HSCSD at a rate higher than a normal phone call (e.g., by the number of time slots allocated) for the total period of time that the user has a connection active. This makes HSCSD relatively expensive in many GSM networks and is one of the reasons that packet-switched General Packet Radio Service (GPRS), which typically has lower pricing (based on amount of data transferred rather than the duration of the connection), has become more common than HSCSD. Apart from the fact that the full allocated bandwidth of the connection is available to the HSCSD user, HSCSD also has an advantage in GSM systems in terms of lower average radio interface latency than GPRS. This is because the user of an HSCSD connection does not have to wait for permission from the network to send a packet. HSCSD is also an option in Enhanced Data Rates for GSM Evolution (EDGE) and Universal Mobile Telecommunications System (UMTS) systems where packet data transmission rates are much higher. In the UMTS system, the advantages of HSCSD over packet data are even lower since the UMTS radio interface has been specifically designed to support high bandwidth, low latency packet connections. This means that the primary reason to use HSCSD in this environment would be access to legacy dial up systems. General Packet Radio Service (GPRS) provides more efficient packet-based data transmission directly from the mobile phone at speeds roughly twice those of HSCSD. Enhanced Data Rates for GSM Evolution (EDGE) (E-GPRS) and Universal Mobile Telecommunications System (UMTS) provide improved radio interfaces with higher data rates, while still being backward compatible with the GSM core network. "Micro-SIM" redirects here. For the company, see MicroSim Corporation. A TracFone Wireless SIM card has no distinctive carrier markings and is only marked as a "SIM CARD". A subscriber identity module or subscriber identification module (SIM), widely known as a SIM card, is an integrated circuit that is intended to securely store the international mobile subscriber identity (IMSI) number and its related key, which are used to identify and authenticate subscribers on mobile telephony devices (such as mobile phones and computers). It is also possible to store contact information on many SIM cards. SIM cards are always used on GSM phones; for CDMA phones, they are only needed for newer LTE-capable handsets. SIM cards can also be used in satellite phones, smart watches, computers, or cameras. The SIM circuit is part of the function of a universal integrated circuit card (UICC) physical smart card, which is usually made of PVC with embedded contacts and semiconductors. SIM cards are transferable between different mobile devices. The first UICC smart cards were the size of credit and bank cards; sizes were reduced several times over the years, usually keeping electrical contacts the same, so that a larger card could be cut down to a smaller size. A SIM card contains its unique serial number (ICCID), international mobile subscriber identity (IMSI) number, security authentication and ciphering information, temporary information related to the local network, a list of the services the user has access to, and two passwords: a personal identification number (PIN) for ordinary use, and a personal unblocking code (PUC) for PIN unlocking. The SIM was initially specified by the European Telecommunications Standards Institute in the specification with the number TS 11.11. This specification describes the physical and logical behaviour of the SIM. With the development of UMTS, the specification work was partially transferred to 3GPP. 3GPP is now responsible for the further development of applications like SIM (TS 51.011) and USIM (TS 31.102) and ETSI for the further development of the physical card UICC. 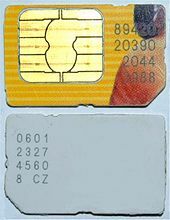 The first SIM card was developed in 1991 by Munich smart-card maker Giesecke & Devrient, who sold the first 300 SIM cards to the Finnish wireless network operator Radiolinja. Today, SIM cards are ubiquitous, allowing over 7 billion devices to connect to cellular networks around the world. According to the International Card Manufacturers Association (ICMA), there were 5.4 billion SIM cards manufactured globally in 2016 creating over $6.5 billion in revenue for traditional SIM card vendors. The rise of cellular IoT and 5G networks is predicted to drive the growth of the addressable market for SIM card manufacturers to over 20 billion cellular devices by 2020. The introduction of Embedded SIM (eSIM) and Remote SIM Provisioning (RSP) from the GSMA may disrupt the traditional SIM card ecosystem with the entrance of new players specializing in "digital" SIM card provisioning and other value-added services for mobile network operators. There are three operating voltages for SIM cards: 5 V, 3 V and 1.8 V (ISO/IEC 7816-3 classes A, B and C, respectively). The operating voltage of the majority of SIM cards launched before 1998 was 5 V. SIM cards produced subsequently are compatible with 3 V and 5 V. Modern cards support 5 V, 3 V and 1.8 V.
4 by 4 mm silicon chip in a SIM card which has been peeled open. Note the thin gold bonding wires, and the regular, rectangular digital memory areas. Modern SIM cards allow applications to load when the SIM is in use by the subscriber. These applications communicate with the handset or a server using SIM Application Toolkit, which was initially specified by 3GPP in TS 11.14. (There is an identical ETSI specification with different numbering.) ETSI and 3GPP maintain the SIM specifications. The main specifications are: ETSI TS 102 223, ETSI TS 102 241, ETSI TS 102 588, and ETSI TS 131 111. SIM toolkit applications were initially written in native code using proprietary APIs. To provide interoperability of the applications, ETSI chose Java Card.. Additional standard size and specifications of interest are maintained by GlobalPlatform. SIM cards can come in various data capacities, from 8 KB to at least 256 KB. All can store a maximum of 250 contacts on the SIM, but while the 32 KB has room for 33 Mobile Network Codes (MNCs) or network identifiers, the 64 KB version has room for 80 MNCs. This is used by network operators to store data on preferred networks, mostly used when the SIM is not in its home network but is roaming. The network operator that issued the SIM card can use this to have a phone connect to a preferred network that is more economic for the provider instead of having to pay the network operator that the phone 'saw' first. This does not mean that a phone containing this SIM card can connect to a maximum of only 33 or 80 networks, but it means that the SIM card issuer can specify only up to that number of preferred networks. If a SIM is outside these preferred networks it uses the first or best available network. ICCID is the identifier of the actual SIM card itself - i.e. an identifier for the SIM chip. Nowadays ICCID numbers are also used to identify eSIM profiles, and not only physical SIM cards. Each SIM is internationally identified by its integrated circuit card identifier (ICCID). ICCIDs are stored in the SIM cards and are also engraved or printed on the SIM card body during a process called personalisation. The ICCID is defined by the ITU-T recommendation E.118 as the Primary Account Number. Its layout is based on ISO/IEC 7812. According to E.118, the number is up to 22 digits long, including a single check digit calculated using the Luhn algorithm. However, the GSM Phase 1 defined the ICCID length as 10 octets (20 digits) with operator-specific structure. Major industry identifier (MII), 2 fixed digits, 89 for telecommunication purposes. Country code, 1–3 digits, as defined by ITU-T recommendation E.164. Individual account identification number. Its length is variable, but every number under one IIN has the same length. Single digit calculated from the other digits using the Luhn algorithm. With the GSM Phase 1 specification using 10 octets into which ICCID is stored as packed BCD, the data field has room for 20 digits with hexadecimal digit "F" being used as filler when necessary. In practice, this means that on GSM SIM cards there are 20-digit (19+1) and 19-digit (18+1) ICCIDs in use, depending upon the issuer. However, a single issuer always uses the same size for its ICCIDs. To confuse matters more, SIM factories seem to have varying ways of delivering electronic copies of SIM personalization datasets. Some datasets are without the ICCID checksum digit, others are with the digit. As required by E.118, the ITU-T updates a list of all current internationally assigned IIN codes in its Operational Bulletins which are published twice a month (the last is No. 1163 from 1 January 2019). ITU-T also publishes complete lists: as of January 2019, the list issued on 1 December 2018 was current, having all issuer identifier numbers before 1 December 2018. The first three digits represent the Mobile Country Code (MCC). The next two or three digits represent the Mobile Network Code (MNC). Three-digit MNC codes are allowed by E.212 but are mainly used in the United States and Canada. The next digits represent the mobile subscriber identification number (MSIN). Normally there are 10 digits, but can be fewer in the case of a 3-digit MNC or if national regulations indicate that the total length of the IMSI should be less than 15 digits. Digits are different from country to country. The Ki is a 128-bit value used in authenticating the SIMs on a GSM mobile network (for USIM network, you still need Ki but other parameters are also needed). Each SIM holds a unique Ki assigned to it by the operator during the personalization process. The Ki is also stored in a database (termed authentication center or AuC) on the carrier's network. The SIM card is designed to prevent someone from getting the Ki by using the smart-card interface. Instead, the SIM card provides a function, Run GSM Algorithm, that the phone uses to pass data to the SIM card to be signed with the Ki. This, by design, makes using the SIM card mandatory unless the Ki can be extracted from the SIM card, or the carrier is willing to reveal the Ki. In practice, the GSM cryptographic algorithm for computing SRES_2 (see step 4, below) from the Ki has certain vulnerabilities that can allow the extraction of the Ki from a SIM card and the making of a duplicate SIM card. When the mobile equipment starts up, it obtains the international mobile subscriber identity (IMSI) from the SIM card, and passes this to the mobile operator, requesting access and authentication. The mobile equipment may have to pass a PIN to the SIM card before the SIM card reveals this information. The operator network searches its database for the incoming IMSI and its associated Ki. The operator network then generates a random number (RAND, which is a nonce) and signs it with the Ki associated with the IMSI (and stored on the SIM card), computing another number, that is split into the Signed Response 1 (SRES_1, 32 bits) and the encryption key Kc (64 bits). The operator network then sends the RAND to the mobile equipment, which passes it to the SIM card. The SIM card signs it with its Ki, producing SRES_2 and Kc, which it gives to the mobile equipment. The mobile equipment passes SRES_2 on to the operator network. The operator network then compares its computed SRES_1 with the computed SRES_2 that the mobile equipment returned. If the two numbers match, the SIM is authenticated and the mobile equipment is granted access to the operator's network. Kc is used to encrypt all further communications between the mobile equipment and the network. The SIM stores network state information, which is received from the Location Area Identity (LAI). Operator networks are divided into Location Areas, each having a unique LAI number. When the device changes locations, it stores the new LAI to the SIM and sends it back to the operator network with its new location. If the device is power cycled, it takes data off the SIM, and searches for the prior LAI. Most SIM cards store a number of SMS messages and phone book contacts. It stores the contacts in simple "name and number" pairs. Entries that contain multiple phone numbers and additional phone numbers are usually not stored on the SIM card. When a user tries to copy such entries to a SIM, the handset's software breaks them into multiple entries, discarding information that is not a phone number. 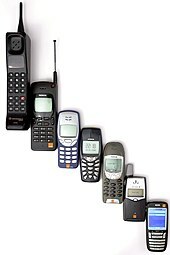 The number of contacts and messages stored depends on the SIM; early models stored as few as five messages and 20 contacts, while modern SIM cards can usually store over 250 contacts. SIM cards have been made smaller over the years; functionality is independent of format. Full-size SIM were followed by mini-SIM, micro-SIM, and nano-SIM. SIM cards are also made to embed in devices. The full-size SIM (or 1FF, 1st form factor) was the first form factor to appear. It has the size of a credit card (85.60 mm × 53.98 mm × 0.76 mm). 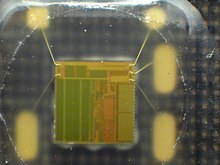 Later smaller SIMs are often supplied embedded in a full-size card from which they can be removed. 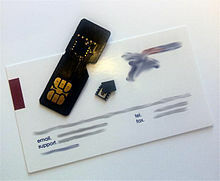 The mini-SIM (or 2FF) card has the same contact arrangement as the full-size SIM card and is normally supplied within a full-size card carrier, attached by a number of linking pieces. This arrangement (defined in ISO/IEC 7810 as ID-1/000) lets such a card be used in a device that requires a full-size card – or in a device that requires a mini-SIM card, after breaking the linking pieces. As the full-size SIM is no longer used, some suppliers refer to the mini-SIM as a "standard SIM" or "regular SIM". The micro-SIM (or 3FF) card has the same thickness and contact arrangements, but reduced length and width as shown in the table above. The micro-SIM was introduced by the European Telecommunications Standards Institute (ETSI) along with SCP, 3GPP (UTRAN/GERAN), 3GPP2 (CDMA2000), ARIB, GSM Association (GSMA SCaG and GSMNA), GlobalPlatform, Liberty Alliance, and the Open Mobile Alliance (OMA) for the purpose of fitting into devices too small for a mini-SIM card. The form factor was mentioned in the December 1998 3GPP SMG9 UMTS Working Party, which is the standards-setting body for GSM SIM cards, and the form factor was agreed upon in late 2003. The micro-SIM was designed for backward compatibility. The major issue for backward compatibility was the contact area of the chip. Retaining the same contact area makes the micro-SIM compatible with the prior, larger SIM readers through the use of plastic cutout surrounds. The SIM was also designed to run at the same speed (5 MHz) as the prior version. The same size and positions of pins resulted in numerous "How-to" tutorials and YouTube video with detailed instructions how to cut a mini-SIM card to micro-SIM size. ETSI has responded to a market need from ETSI customers, but additionally there is a strong desire not to invalidate, overnight, the existing interface, nor reduce the performance of the cards. Micro-SIM cards were introduced by various mobile service providers for the launch of the original iPad, and later for smartphones, from April 2010. The iPhone 4 was the first smartphone to use a micro-SIM card in June 2010, followed by many others. The iPhone 5, released in September 2012, was the first device to use a nano-SIM card, followed by other handsets. In July 2013, Karsten Nohl, a security researcher from SRLabs, described vulnerabilities in some SIM cards that supported DES, which, despite its age, is still used by some operators. The attack could lead to the phone being remotely cloned or let someone steal payment credentials from the SIM. Further details of the research were provided at BlackHat on July 31, 2013. In response, the International Telecommunication Union said that the development was "hugely significant" and that it would be contacting its members. In February 2015, it was reported by The Intercept that the NSA and GCHQ had stolen the encryption keys (Ki's) used by Gemalto (the manufacturer of 2 billion SIM cards annually), enabling these intelligence agencies to monitor voice and data communications without the knowledge or approval of cellular network providers or judicial oversight. Having finished its investigation, Gemalto claimed that it has “reasonable grounds” to believe that the NSA and GCHQ carried out an operation to hack its network in 2010 and 2011, but says the number of possibly stolen keys would not have been massive. When GSM was already in use, the specifications were further developed and enhanced with functionality such as SMS and GPRS. These development steps are referred as releases by ETSI. Within these development cycles, the SIM specification was enhanced as well: new voltage classes, formats and files were introduced. In GSM-only times, the SIM consisted of the hardware and the software. With the advent of UMTS this naming was split: the SIM was now an application and hence only software. The hardware part was called UICC. This split was necessary because UMTS introduced a new application, the universal subscriber identity module (USIM). The USIM brought, among other things, security improvements like the mutual authentication and longer encryption keys and an improved address book. "SIM cards" in developed countries today are usually UICCs containing at least a SIM application and a USIM application. This configuration is necessary because older GSM only handsets are solely compatible with the SIM application and some UMTS security enhancements rely on the USIM application. 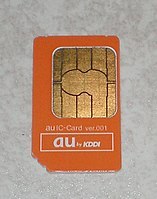 On cdmaOne networks, the equivalent of the SIM card is the R-UIM and the equivalent of the SIM application is the CSIM. A virtual SIM is a mobile phone number provided by a mobile network operator that does not require a SIM card to connect phone calls to a user's mobile phone. An Embedded-SIM (eSIM) or embedded universal integrated circuit card (eUICC) is a form of programmable SIM that is embedded directly into a device. The surface mount format provides the same electrical interface as the full size, 2FF and 3FF SIM cards, but is soldered to a circuit board as part of the manufacturing process. In M2M applications where there is no requirement to change the SIM card, this avoids the requirement for a connector, improving reliability and security. An eSIM can be provisioned remotely; end-users can add or remove operators without the need to physically swap a SIM from the device. eSIM is a global specification by the GSMA which enables remote SIM provisioning of any mobile device, and GSMA defines eSIM as the SIM for the next generation of connected consumer device, and networking solution using eSIM technology can be widely applicable to various IoT scenarios, including connected cars (smart rearview mirror, OBD, vehicle hotspot), AI translator, Mi-Fi device, smart earphone, smart metering, tracker, DTU, bike-sharing, advertising player, and video surveillance devices, etc. The GSMA had been discussing the possibilities of a software-based SIM card since 2010. While Motorola noted that eUICC is geared at industrial devices, Apple "disagreed that there is any statement forbidding the use of an embedded UICC in a consumer product." In 2012, The European Commission has selected the Embedded UICC format for its in-vehicle emergency call service known as eCall. All new car models in the EU must have one by 2018 to instantly connect the car to the emergency services in case of an accident. Russia has a similar plan with the ERA-GLONASS regional satellite positioning system. Singapore is seeking public opinions on introducing eSIM as a new standard as more compatible devices enter the market. Apple implemented eSIM support in its Apple Watch series 3 and second generation iPad Pro devices. In October 2017, Google unveiled the Pixel 2, which added eSIM support for use with its Project Fi service. The following year, Apple released the iPhone XS and iPhone XR with eSIM support. eSIM support on iPhone requires iOS 12.1 or later. PLINTRON implemented eSIM4Things product based on eSIM support for the Devices and available in 28 Countries. The use of SIM cards is mandatory in GSM devices. The satellite phone networks Iridium, Thuraya and Inmarsat's BGAN also use SIM cards. Sometimes, these SIM cards work in regular GSM phones and also allow GSM customers to roam in satellite networks by using their own SIM card in a satellite phone. Japan's 2G PDC system (which was shut down in 2012; SoftBank Mobile has already shut down PDC from March 31, 2010) also specifies a SIM, but this has never been implemented commercially. The specification of the interface between the Mobile Equipment and the SIM is given in the RCR STD-27 annex 4. The Subscriber Identity Module Expert Group was a committee of specialists assembled by the European Telecommunications Standards Institute (ETSI) to draw up the specifications (GSM 11.11) for interfacing between smart cards and mobile telephones. In 1994, the name SIMEG was changed to SMG9. Japan's current and next generation cellular systems are based on W-CDMA (UMTS) and CDMA2000 and all use SIM cards. However, Japanese CDMA2000-based phones are locked to the R-UIM they are associated with and thus, the cards are not interchangeable with other Japanese CDMA2000 handsets (though they may be inserted into GSM/WCDMA handsets for roaming purposes outside Japan). 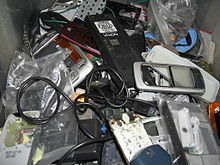 CDMA-based devices originally did not use a removable card, and the service for these phones bound to a unique identifier contained in the handset itself. This is most prevalent in operators in the Americas. The first publication of the TIA-820 standard (also known as 3GPP2 C.S0023) in 2000 defined the Removable User Identity Module (R-UIM). Card-based CDMA devices are most prevalent in Asia. The equivalent of a SIM in UMTS is called the universal integrated circuit card (UICC), which runs a USIM application. The UICC is still colloquially called a SIM card. The SIM card introduced a new and significant business opportunity for MVNOs – mobile virtual network operators – who lease capacity from one of the network operators rather than owning or operating a cellular telecoms network, and only provide a SIM card to their customers. MVNOs first appeared in Denmark, Hong Kong, Finland and the UK. Today they exist in over 50 countries, including most of Europe, United States, Canada, Mexico, Australia and parts of Asia, and account for approximately 10% of all mobile phone subscribers around the world. On some networks, the mobile phone is locked to its carrier SIM card, meaning that the phone only works with SIM cards from the specific carrier. This is more common in markets where mobile phones are heavily subsidised by the carriers, and the business model depends on the customer staying with the service provider for a minimum term (typically 12, 18 or 24 months). SIM cards that are issued by providers with an associated contract are called SIM-only deals. Common examples are the GSM networks in the United States, Canada, Australia, the UK and Poland. Many businesses offer the ability to remove the SIM lock from a phone, effectively making it possible to then use the phone on any network by inserting a different SIM card. Mostly, GSM and 3G mobile handsets can easily be unlocked and used on any suitable network with any SIM card. In countries where the phones are not subsidised, e.g., India, Israel and Belgium, all phones are unlocked. Where the phone is not locked to its SIM card, the users can easily switch networks by simply replacing the SIM card of one network with that of another while using only one phone. This is typical, for example, among users who may want to optimise their carrier's traffic by different tariffs to different friends on different networks, or when traveling internationally. In 2016, carriers started using the concept of automatic SIM reactivation whereby they let users reuse expired SIM cards instead of purchasing new ones when they wish to re-subscribe to that operator. This is particularly useful in countries where prepaid calls dominate and where competition drives high churn rates, as users had to return to a carrier shop to purchase a new SIM each time they wanted to churn back to an operator. Commonly sold as a product by mobile telecommunications companies, "SIM-only" refers to a type of legally binding contract between a mobile network provider and a customer. The contract itself takes the form of a credit agreement and is subject to a credit check. Within a SIM-only contract the mobile network provider supplies their customer with just one piece of hardware, a SIM card, which includes an agreed amount of network usage in exchange for a monthly payment. Network usage within a SIM-only contract can be measured in minutes, text, data or any combination of these. The duration of a SIM-only contract varies depending on the deal selected by the customer, but in the UK they are available over 1, 3, 6, and 12-month periods. SIM-only contracts differ from mobile phone contracts in that they do not include any hardware other than a SIM card. In terms of network usage, SIM-only is typically more cost effective than other contracts because the provider does not charge more to offset the cost of a mobile device over the contract period. Short contract length is one of the key features of SIM-only – made possible by the absence of a mobile device. SIM-only is increasing in popularity very quickly. In 2010 pay monthly based mobile phone subscriptions grew from 41 percent to 49 percent of all UK mobile phone subscriptions. According to German research company Gfk, 250,000 SIM-only mobile contracts were taken up in the UK during July 2012 alone, the highest figure since GfK began keeping records. Increasing smartphone penetration combined with financial concerns are leading customers to save money by moving onto a SIM-only when their initial contract term is over. Dual-SIM devices have two SIM card slots for the use of two SIM cards, from one or multiple carriers. Dual-SIM mobile phones come with two slots for SIMs in various locations such as: one behind the battery and another on the side of the phone; both slots behind the battery; or on the side of the phone if the device does not have a removable battery. Multiple-SIM devices are commonplace in developing markets such as in Africa, East Asia, the Indian subcontinent and Southeast Asia, where variable billing rates, network coverage and speed make it desirable for consumers to use multiple SIMs from competing networks. Dual SIM phones are also useful to separate one's personal phone number from a business phone number, without having to carry multiple devices. Some popular devices, such as the BlackBerry KEYone have dual-SIM variants, however dual-SIM devices are not common in the US or Europe due to lack of demand. A thin SIM (or overlay SIM or SIM overlay) is a very thin device shaped like a SIM card, approximately 120 microns thick. It has contacts on its front and back. It is used by sticking it on top of a regular SIM card. It provides its own functionality while passing through the functionality of the SIM card underneath. It can be used to bypass the mobile operating network and run custom applications, particularly on non-programmable cell phones. Its top surface is a connector which connects to the phone in place of the normal SIM. Its bottom surface is a connector which connects to the SIM in place of the phone. With electronics, it can modify signals in either direction, thus presenting a modified SIM to the phone, and/or presenting a modified phone to the SIM. It is a similar concept to the Game Genie, which connects between a game console and a game cartridge, creating a modified game. Similar functionality is given by dual SIM phones, but they are not always available. A bank in Kenya is issuing thin SIMs to its customers. There are security concerns because the thin SIM can observe data passing to and from the SIM. ^ "3GPP specification: 51.011". Retrieved 29 April 2016. ^ "3GPP specification: 31.102". Retrieved 29 April 2016. ^ Asif, Saad Z. (2011). Next Generation Mobile Communications Ecosystem. John Wiley & Sons. p. 306. ISBN 1119995817. ^ "G&D - History of Giesecke & Devrient". Retrieved 29 April 2016. ^ "Official Publication of the International Card Manufacturers Association February 2017 Volume 27 No1" (PDF). Retrieved 28 May 2017. 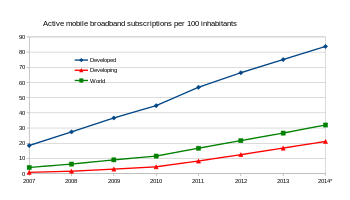 ^ "Ericsson Mobility Report November 2015" (PDF). Retrieved 28 May 2017. ^ "GSMA Embedded SIM and RSP". Retrieved 28 May 2017. ^ "3GPP specification: 11.11". Retrieved 29 April 2016. ^ ITU-T, ITU-T Recommendation E.118, The international telecommunication charge card, Revision history, Revision "05/2006"
^ "Operational Bulletin No. 1163 (1.I.2019)". www.itu.int. Retrieved 2019-01-05. ^ "List of issuer identifier numbers for the international telecommunication charge card (In accordance with Recommendation ITU-T E.118 (05/2006))". International Telecommunication Union. 5 January 2015. ^ "Hackers crack open mobile network". bbc.co.uk. 20 April 2011. Retrieved 13 August 2011. ^ "What is a microsim card?". SimOnlyPro.nl. Archived from the original on 22 February 2013. Retrieved 14 October 2012. ^ Gaby Lenhart (1 April 2006). "The Smart Card Platform". ETSI Technical Committee Smart Card Platform (TB SCP). Retrieved 30 January 2010. SCP is co-operating on both technical and service aspects with a number of other committees both within and outside the telecommunications sector. ^ Segan, Sascha (27 January 2010). "Inside the iPad Lurks the 'Micro SIM'". PC Magazine. Retrieved 30 January 2010. ^ "DRAFT Report of the SMG9 UMTS Working Party, meeting #7 hosted by Nokia in Copenhagen, 15–16 December 1998" (PDF). 3GPP. 25 January 1999. Retrieved 27 January 2010. One manufacturer stated that it may be difficult to meeting ISO mechanical standards for a combined ID-1/micro-SIM card. ^ a b Antipolis, Sophia (8 December 2003). "New form factor for smart cards introduced". SmartCard Trends. Archived from the original on April 26, 2010. Retrieved 30 January 2010. The work item for the so-called Third Form Factor, "3FF", was agreed, after intensive discussions, at the SCP meeting held last week in London. ^ Dr. Klaus Vedder (18 January 2012). "The UICC – Recent Work of ETSI TC Smart Card Platform" (PDF). ETSI. p. 12. Retrieved 22 July 2012. ^ Virgin Mobile. 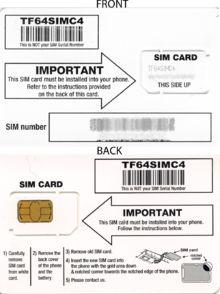 "An important guide to inserting your SIM into your mobile" (PDF). Retrieved 21 January 2017. ^ "Black Hat USA 2013". Retrieved 29 April 2016. ^ "The Great SIM Heist - How Spies Stole the Keys to the Encryption Castle". The Intercept. The Intercept (First Look Media). February 19, 2015. Retrieved February 19, 2015. ^ "Gemalto: NSA/GCHQ Hack 'Probably Happened' But Didn't Include Mass SIM Key Theft". techcrunch.com. February 25, 2015. Retrieved April 2, 2015. ^ "eUICC – The Future for SIM Technology". PodM2M. ^ Diana ben-Aaron (18 November 2010). "GSMA Explores Software-Based Replacement for Mobile SIM Cards". Bloomberg. p. 1. Retrieved 17 October 2014. ^ Ziegler, Chris (June 1, 2012). "Embedded SIMs: they're happening, and Apple thinks they could be in consumer products". The Verge. Vox Media. Retrieved October 25, 2014. ^ Bruno, Duarte (September 27, 2014). "eUICC – embedded Universal Integrated Circuit Card". COSWITCHED.COM. Retrieved October 25, 2014. ^ Evans, Jonny. "Apple Watch Series 4: A review". Computerworld. Retrieved 2018-11-09. ^ Martin, Jim. "Until now, all iPhones have been single SIM, but with eSIM you can have two phone numbers". Macworld UK. Retrieved 2018-11-09. ^ "Google's Pixel 2 phones are the first to use built-in eSIM technology". The Verge. Retrieved 2018-11-09. ^ "Using Dual SIM with an eSIM". Apple Support. Retrieved 2019-01-27. ^ "Apple brings dual-SIM support to the iPhone XS and XS Max". CNET. 2018-09-12. Retrieved 2018-11-09. ^ Cipriani, Jason. "What you need to know about the iPhone's new dual-sim feature". ZDNet. Retrieved 2018-11-09. ^ "eSIM for Internet Of Things: A review". telecompaper. Retrieved 2018-07-26. ^ "Gemalto pioneers SIM reactivation". Retrieved 2016-11-03. 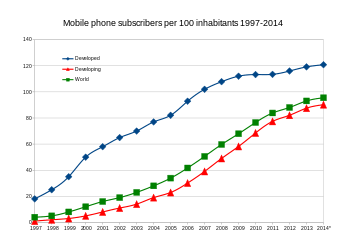 ^ "A nation addicted to smartphones". Ofcom. ^ "UK sales of SIM-only mobile contracts set a new record". The Fone Cast. Retrieved 29 October 2012. ^ CCS 2016 (7 November 2016). "Keynote by Ross Anderson at CCS 2016" – via YouTube. ^ Heuler, Hilary. "Africa's new thin SIM cards: The line between banks and telcos just got thinner - ZDNet". Wikimedia Commons has media related to SIM cards. GSM 11.11 – Specification of the Subscriber Identity Module-Mobile Equipment (SIM-ME) interface.